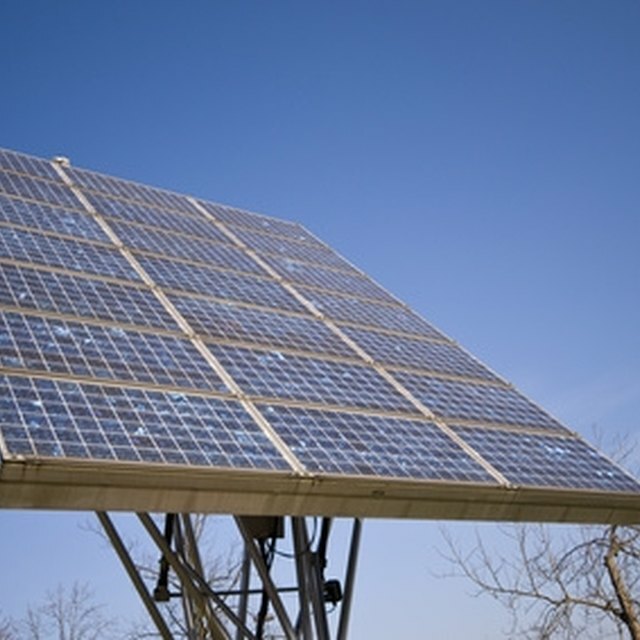 Providing extra power to your solar system can easily be achieved by adding solar panels to the roof and connecting them to the existing panels. This means it's possible to start with a smaller, less costly system, then add on to it as more money allows. It makes financial sense to build a system incrementally, because the retail price of solar equipment is falling year by year. When you add more solar panels to a system, the inverter needs to be able to cope with the extra power. Make sure you have sufficient south-facing roof space to add more solar panels. All solar panels must receive the same amount of sunlight when connected to the same inverter. Make certain the solar panels you want to add are compatible with the solar panels you have. Ideally, any added panels will be of the same type and voltage as existing panels. Otherwise, a Maximum Power Point Tracker (MPPT) solar controller may be required to draw different amounts of current from the solar panel array. Multiply the voltage with the current to calculate the power from the array. The MPPT controller can continuously adjust the current to obtain the maximum power possible. Calculate whether your existing inverter has the extra capacity to cope with the additional panels. If not, you will need to upgrade your inverter. Remember, if the inverter is too small, you will lose out on some of the energy that your system produces. If it is too large, the inverter may not perform at its optimum efficiency. The ideal scenario is to have an inverter that is rated at 80 percent of the power rating of your PV system, since it is highly unlikely that solar panels will ever produce at 100 percent of their capacity. Wire the new solar panels in parallel (positive to positive, negative to negative) with the existing panels. Parallel wiring doesn't change the voltage, but it gives more current capacity. Make sure the newer PV modules have the same number of cells in series and are the same type (mono-crystal or polycrystalline). Only connect series strings of the same PV modules in parallel with series strings of different PV modules. A new development in solar system technology is the "micro-inverter." These are attached to each solar panel, ensuring that each panel operates at its own optimum voltage. This makes expanding your system easier, as you can simply add panels without having to worry about upgrading your inverter. Richard Belmondo began his career as a reporter for the London-based "Camden New Journal" in 1996. He went on to become deputy editor for national dental magazine "The Probe" before taking up the position of sports editor at the Times and Guardian Newspaper Group. Belmondo is a business graduate from the University of Hertfordshire.